Let's start with the good news. Rodrigo has made the 3-man shortlist for La Liga's player of the month for November. Adnan Januzaj and Iago Aspas are the other nominees. 2 goals and an assist continues his excellent form and his transformation from an expensive flop into a key part of Marcelino's team. 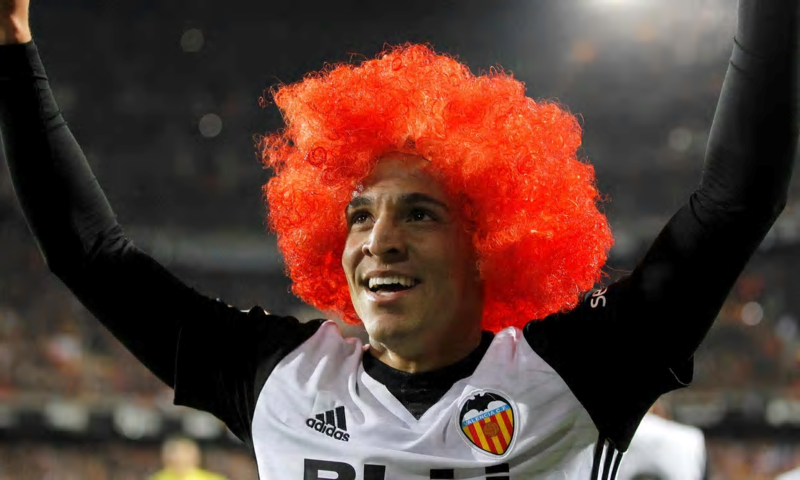 I'd expect Aspas to win it, but this is the third month in a row that a Valencia player has been shortlisted. Zaza won it in September and Guedes lost out in October. With Zaza still not at 100% fitness, the club is continuing its efforts to strengthen the forward line. With Diego Costa arriving at Atletico Madrid next month, we were interested in perennial targets Vietto and Gameiro. But Atletico have no reason to strengthen a direct rival by doing us a favour, so are not agreeing to any sort of loan. It's either buy or goodbye, and we don't have the funds or desire to make permanent signings like that. As a result, Sandro remains Valencia's top target, with the club looking for a loan till Summer with a buy option. Everton manager Sam Allardyce said today that anyone that didn't want to be there could leave, but he wasn't ready to gift players and it had to be for fair market value, which suggests we'd have to pay at least 10m euros. If you see stories linking us with Daniel Sturridge of Liverpool, ignore. That rumour originated with Dail Mail, a newspaper notorious for make-up-any-old-rubbish journalism. There is close on zero chance Marcelino will go for an non-Spanish speaking, injury-prone striker without La Liga experience who would cost at least 30m. Marcelino is also working in training with Ferran Torres and experimenting with using the youngster as a second striker so that he can also cover in case of need. On possible exits, Maksimovic has been linked with Getafe. Gaya's release clause is 50m, but will fall to 30m next summer. That has alerted Juventus among other clubs. In a brief interview (in Valencian) with Superdeporte, the player said that it was up to the club and he was thinking of the present and was happy here. Lastly, to finish as I started on a positive note, Guedes returned to light training yesterday. He remains unavailable for the Eibar game, but there's now an outside chance he will be back for the Villarreal game on 23 December.